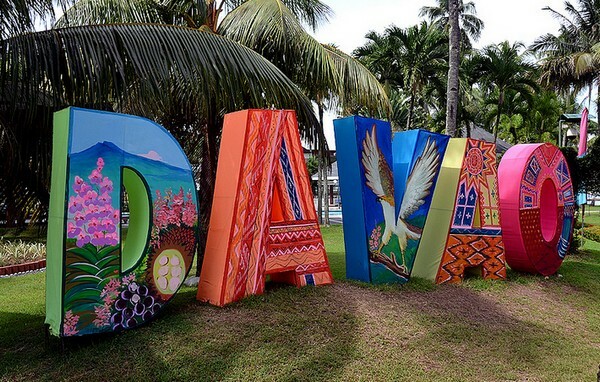 Davao is among the largest cities in the south of Philippine archipelago and one of the top tourist destinations in the country. This city offers many delights to make your weekend or vacation memorable. It has the balance of city and country life where you can relax and enjoy while experiencing outdoor getaways and truly appreciate nature. Getting around the town is generally cheap. You can begin with the trek of Mt. Apo, which is now the world wildlife heritage site, protected as the Mt. Apo National Park. Organized treks on established routes can bring you to the 2,954 meter summit, which is the country’s highest peak. You may want to have guides or porters with you at a price of 6 to 7 US dollars per day. Just an hour away from the city of Davao is the Philippine Eagle Breeding Center. There you can find the endangered monkey-eating eagle. On the other hand, an hours boat ride to Talikud and Ligid Islands can bring you to great diving and snorkeling spots. It is also a great spotting ground for whale and dolphin. Diving rates are offered at $38 for 15 people to be spent for the whole day making it only about $2.50 per person. Davao is also full of night life activities where you can experience Spanish and French cuisine to all night dancing in bars. Among the favorite hang-out place there is Spams disco at J. Camus Street or the Attic Lounge if you want a more serene place to drink and have more deep conversation with friends or with someone you are really interested in. Foods there are generally served at a very reasonable price. If in case you out until the wee hours in the morning, the top of the Apo offers good breakfast menu and buffet but they also serve lunch and dinner. The most popular destination to stay and find great hotels in Davao is at Samal Island where Pearl Farm Beach Resort is located. There you can relax on white sand beaches or sea side pools while gazing at Mt. Apos silhouette at sunset. One of the best things that you should never miss in Davao is Durian, it is a fruit known for its distinctive odor, even described by foreigners with an odor that stinks but tastes really great. It is widely available in the area at a price of $2 to $3 per kilogram. You may also want to grab a bite of Durian Cheese at coffee shops in Gaisano Mall, one of the most popular shopping destinations in the city. If you want to shop for souvenir items and crafts in Davao, check Durian Republic at Victoria Plaza or Aldevinco Shopping Center at P. Reyes Street. In spite of being the worlds biggest city, Davao is very commuter friendly. You can go around the city by Bus or Jeepney but the most convenient way is through taxi. Davao being the safest place to live in the country also has great taxi drivers. They will give you the right change and rate and wont take advantage of its passengers. You may also rent a car or airport limousine services are available. You wont have any problems asking directions either because most people there knows and speaks English. When going to Davao, you can choose either by air or by taking major shipping lines. Daily flights to Davao are available from NAIA Terminal in Manila. Cost varies but usually about $100USD for a roundtrip package. Going from Manila to Davao through a boat ride takes 3 days and 2 nights but at a cheaper price. Ready to Take on Everest?